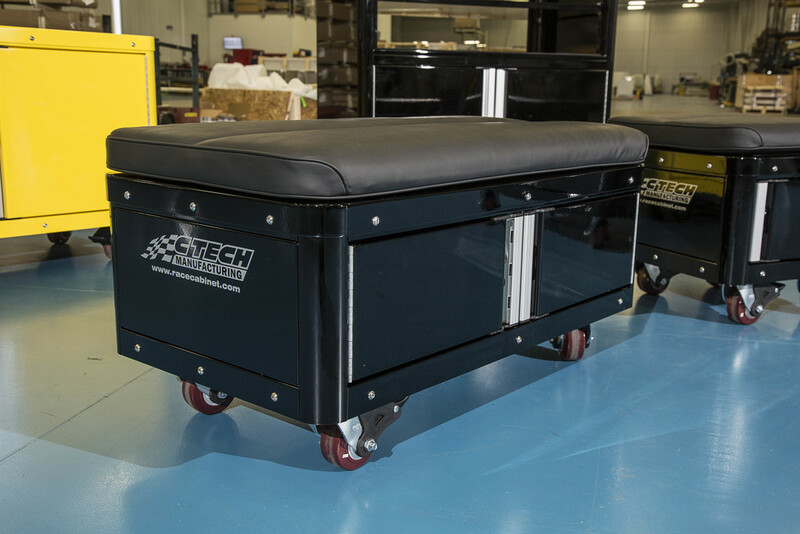 Working with race teams, and using our own “at the track” experience, CTECH has developed a line of Pit Carts and Mobile Work Benches that include features and benefits that put them far ahead of the competition. 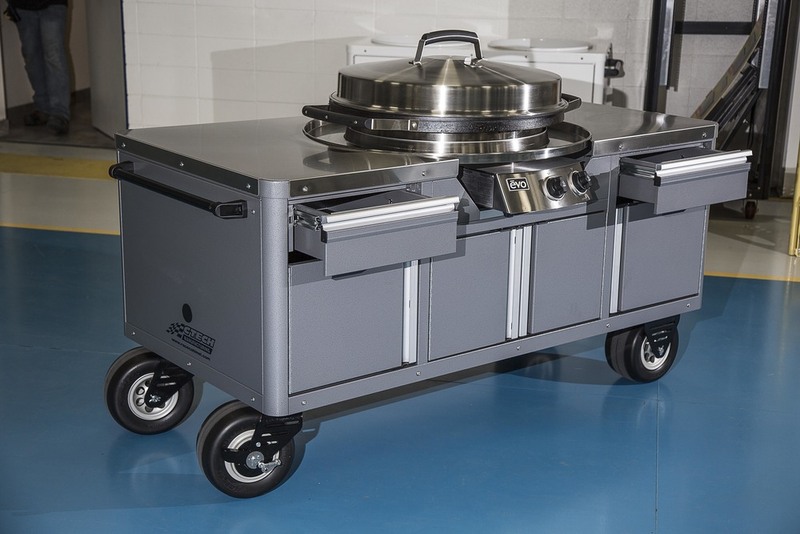 Fabricated entirely of heavy gauge sheet aluminum and thick walled extrusions, along with our exclusive aluminum MotionLatch™ drawers, these pit carts and work carts are lighter weight than others on the market today. 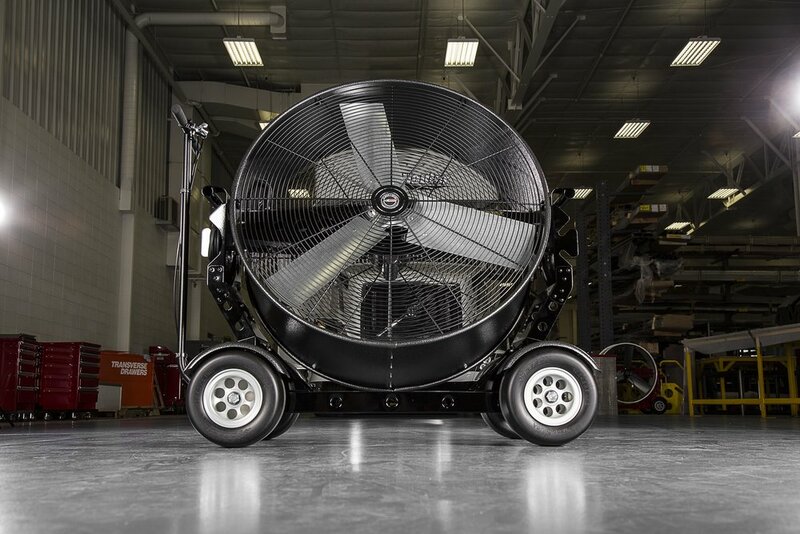 Available in several standard sizes, each cart can be fitted with an array of options to maximize pit or shop efficiency. 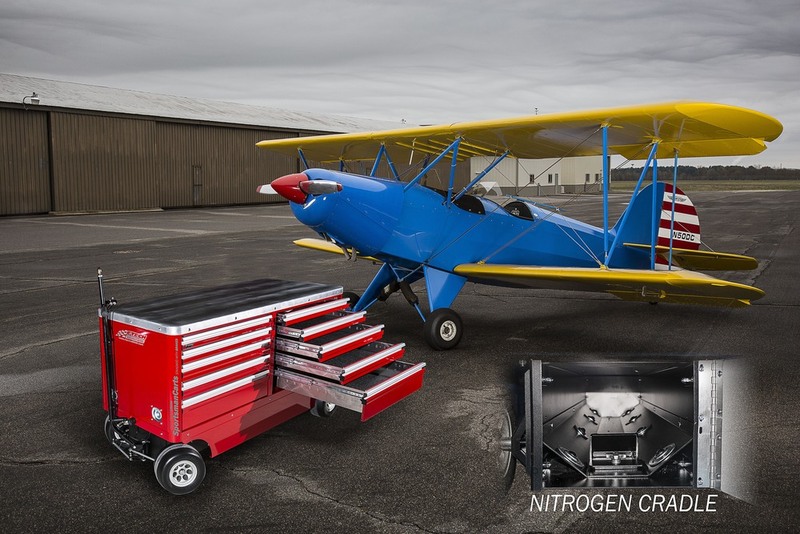 All of your critical equipment like computer telemetry systems, nitrogen tanks, tools, and spare parts are neatly organized and easily accessible allowing you to be at your competitive best. 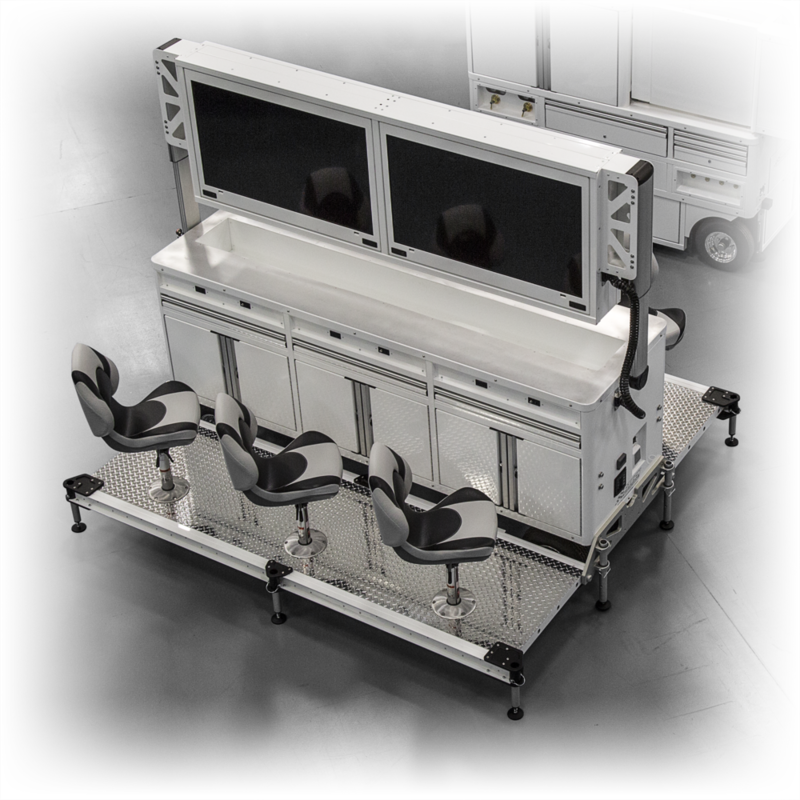 With radius corners and professional appearance, our carts enhance your teams image. 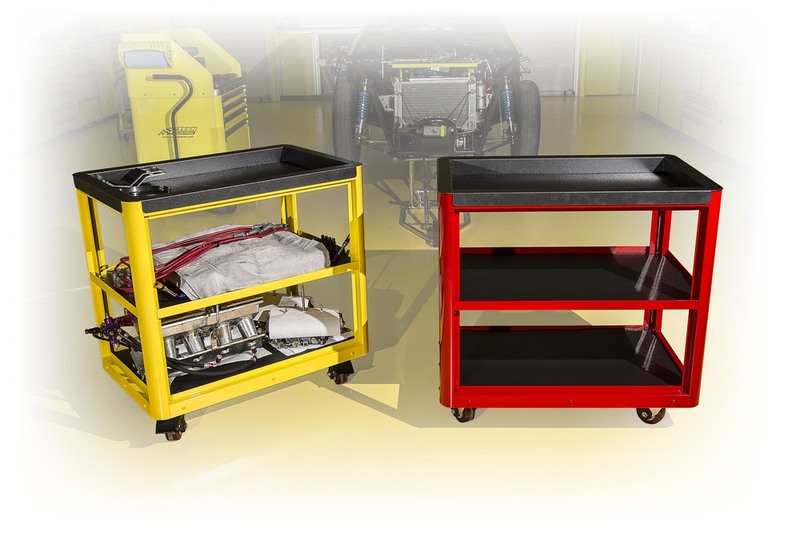 As with all our products choose from our standard carts and work carts and add the options you want, or call us to discuss a cart to fit your specific needs. We are happy to help you design a solution to keep you at the front of the field. 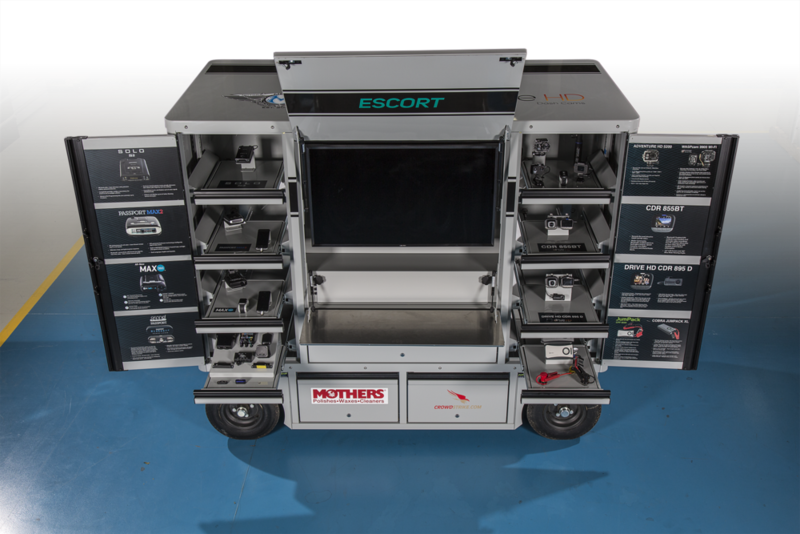 Caster Carts, BadAss Caster Carts, Hot Rod Cart, Mini Cart, Standard Card and our ULTRA Cart. 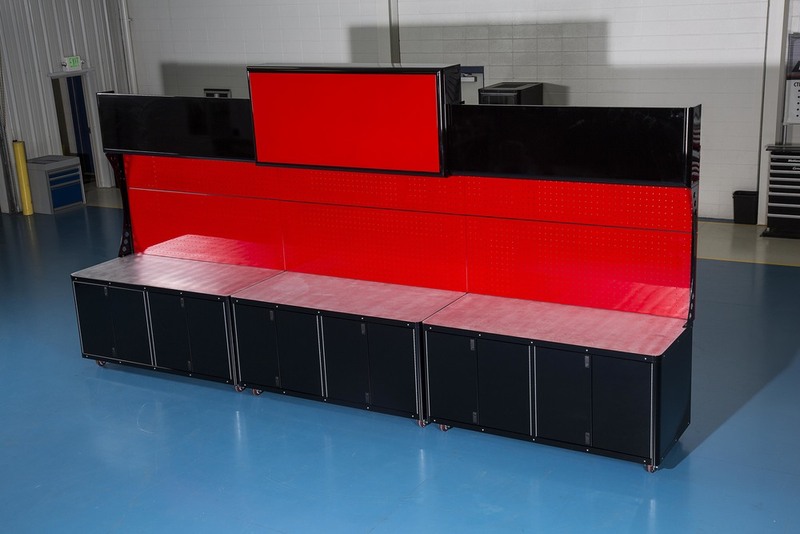 Parametric design allows adjustment in width and depth to fit your need. 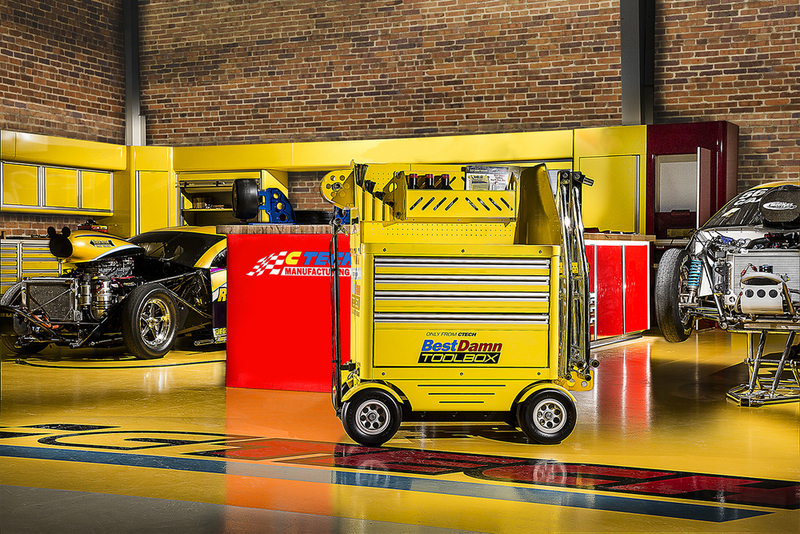 We often say "BUILT BY RACERS, FOR RACERS" and in our Motorsports division this couldn't be more true. 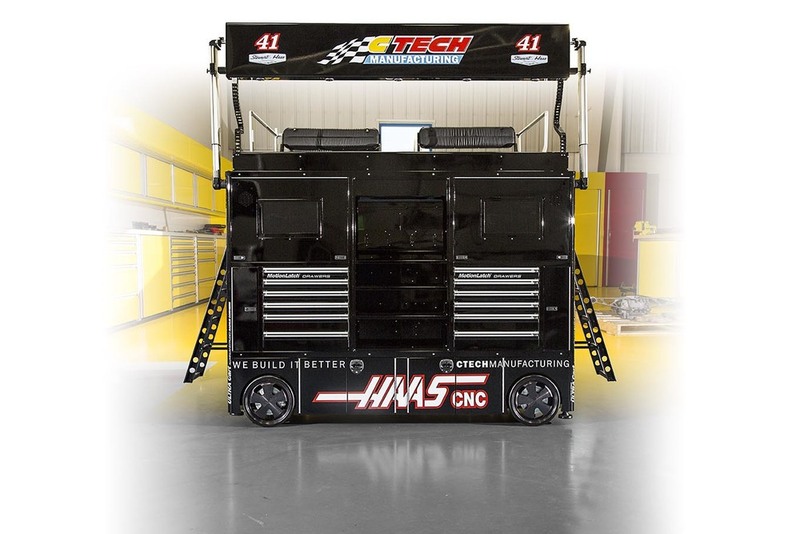 We service every major sanctioned racing series world wide with our aluminum storage. 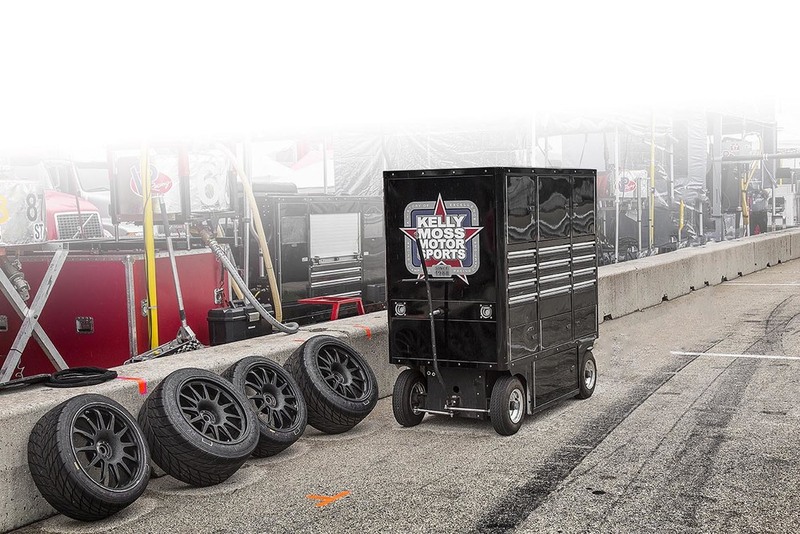 From our smallest Caster Cart options to the Full Frame ULTRA Cart chassis you can see every weekend behind pit wall on NASCAR. 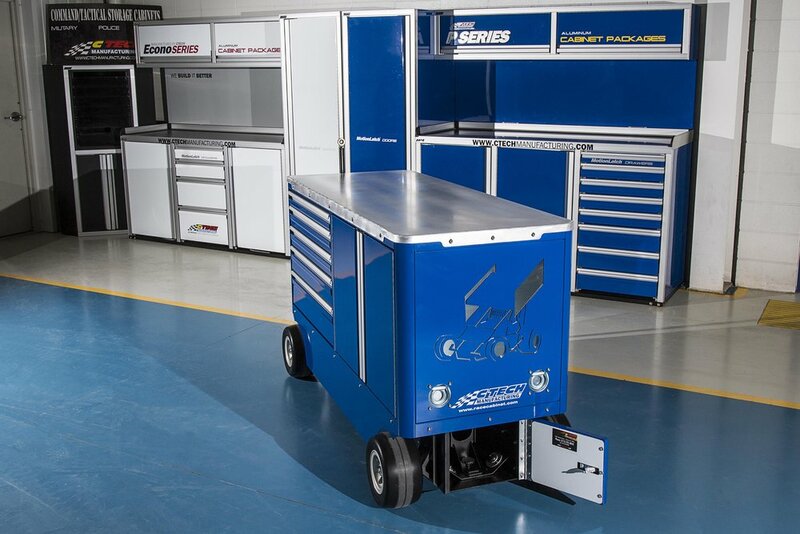 Every application is special but with over 20 years of servicing this industry we are confident in our STANDARD CARTS available. We pride ourselves on service and quality and always appreciate a more one on one experience with customers so feel free to CONTACT US. 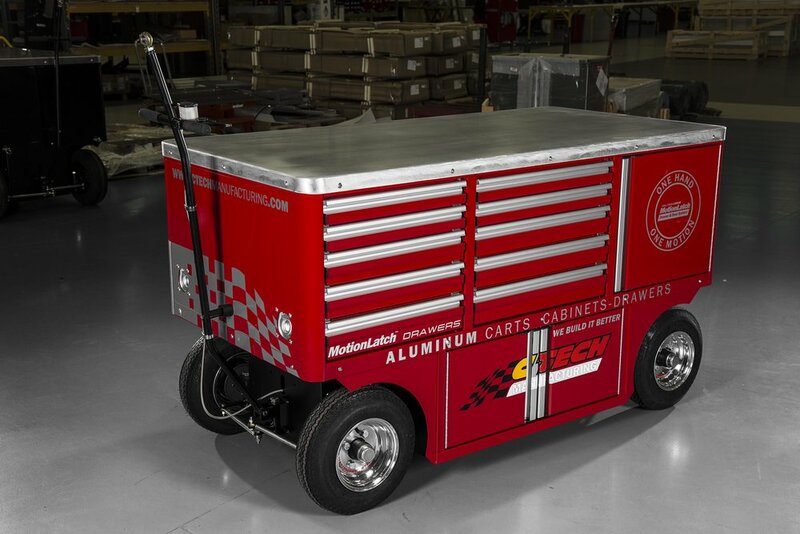 With our roots deep in the racing industry creating beautiful Pit Carts, Tool Boxes and Observation Carts for that market isn't all we are capable here at CTECH. 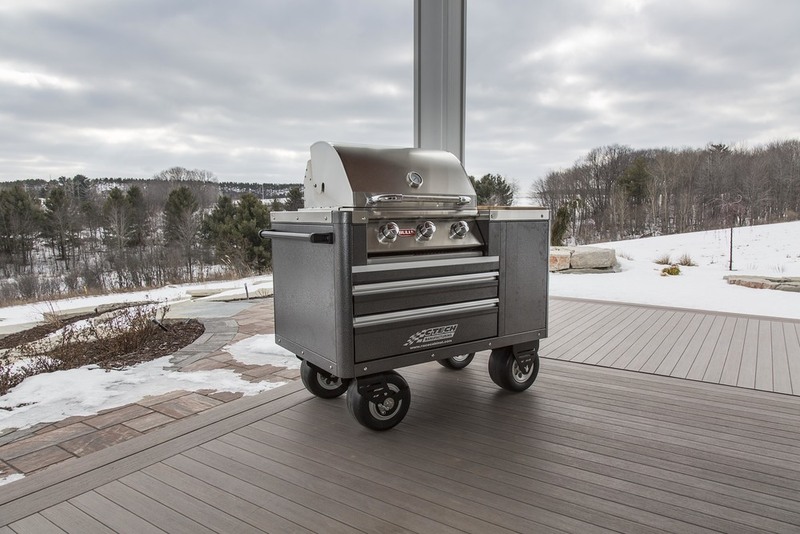 We pride ourselves on servicing multiple industries throughout our 3 distinct product lines of Carts, Cabinets and Drawers. 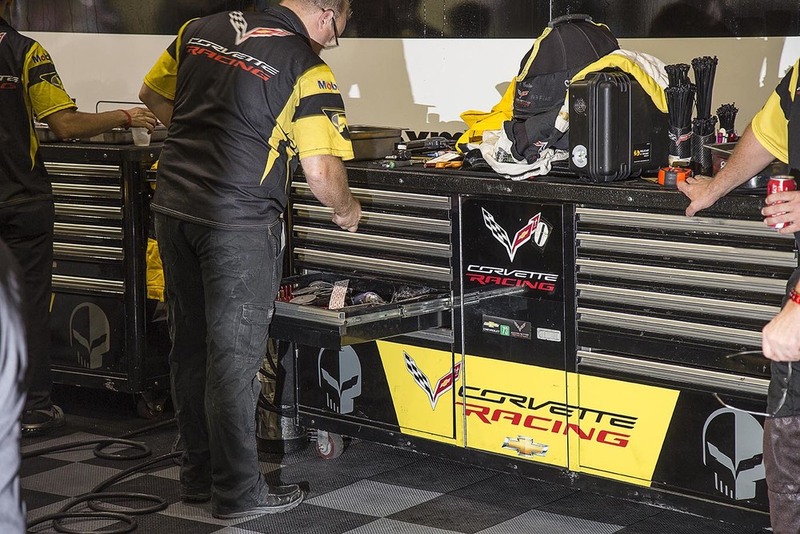 Servicing a multitude of industries has different requirements from our racing history. 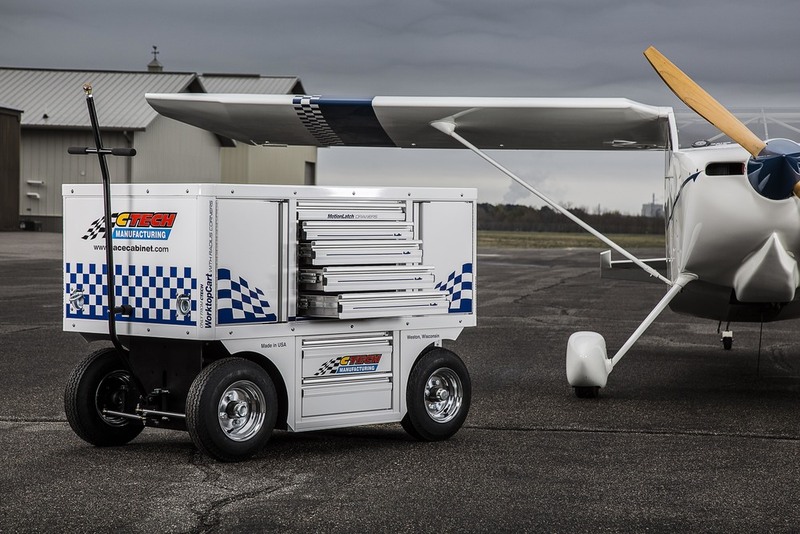 We have executed large quantity cart orders, integrated generators for a mobile power station (3rd party testing and full service manuals were required), worked with large organizations integrating communications equipment and helped bring a cutting edge Aluminum Toolbox to the market for a national tool brand. 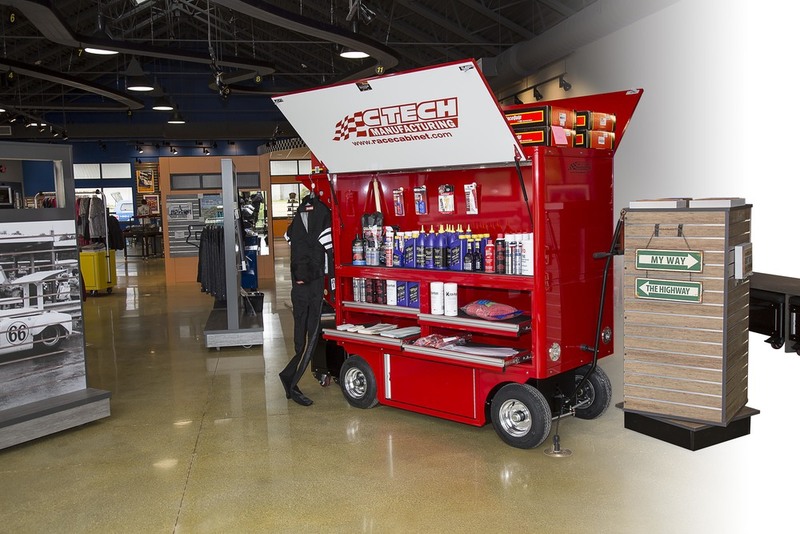 Any one of CTECH's pit carts could be used as a display unit or a type of specialty application it all comes down to what the customers needs are. 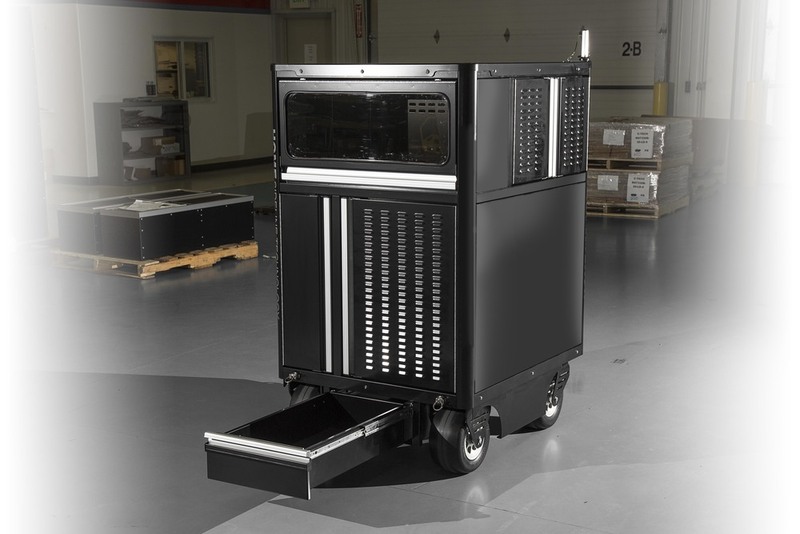 In many cases we take a very standard cart configuration and make small modifications to it to accommodate the specific need. The possibilities are endless and the results are always an impactful product.